You know why they call me Prison Mike? 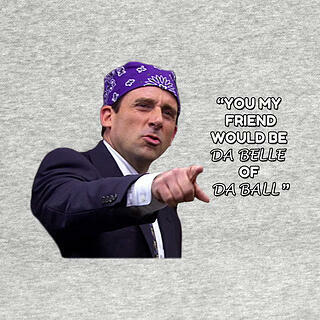 SMB’s can hardly be categorized “da belle of da ball” in the now famous Michael Scott, aka “Prison Mike” vernacular. While they may have a bridesmaid and not the bride type rap, SMBs (small and medium businesses) make up nearly 97.9% of the United States’ 5.83 Million employer firms. That is nothing to bat an eye at and until now has represented one of the last frontiers that is primed for process automation. There are a variety of ways that automation is happening to the financial back office of the small business, whether you look at banking apps that simplify how checks get processed through mobile capture and manual indexing to things like accounting systems in the cloud that sync with your credit card provider to eliminate subsequent journal entries. Some of the other, harder to reach areas include things that big corporates have been tackling for a while...invoice processing automation, epayments, and the like. The intersection of these technologies, especially now through cloud based delivery methodologies essentially means a world of possibilities for small business leaders. Not only can their processes be improved and transformed so they are virtually hands free and so that they have complete visibility, but they can literally be engineered to make their businesses make money. This is no longer the realm of the big corporate only because cloud-based delivery has upended the traditional install based deployment model and paved the way for businesses of all shapes and sizes to follow in their footsteps. With the expansion of repeatable integrations to key core SMB platforms like Quickbooks, Xero, Sage and such, moving data in and out is no longer a boondoggle and when we’re talking about automating how transactions get logged into a system that is otherwise reliant on manual entry, data manipulation and release is EVERYTHING. Wave bye bye to data entry! - Through mobile (or desktop or MFP or email) capture, you’ll never have to enter another invoice into your accounting software. Invoices and relevant documents get sucked into a capture process and enter your accounting software instance as if you had done the work. Whether you want them be auto approved (assuming no GL coding is required and they match at a line level to open POs) you can shift gears to straight-through processing. Gains in this area from a productivity standpoint are upwards of 80% to a manual process. 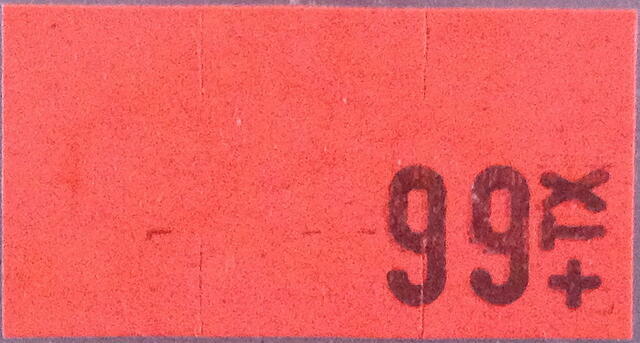 Say hello to always knowing where your invoices are and what their status is! - This is a little thing called visibility and is kind of like a blind person receiving their sight. If you don’t have sight, it can be difficult to imagine just how powerful seeing really is, but it is that profound. Through a system integrated to your accounting software you can call up each and every invoice and understand every processing touchpoint, decision, payment method...you name it, and never lose another invoice or miss a payment. POWERFUL! Count your blessings...and your benjamins! - This really pertains to those who would have the foresight to take automation all the way and get into payment optimization. Through a simple epayments strategy tapping both virtual credit cards and ACH transactions you can divest yourself of approximately 50% of your check payments (maybe more). Again, you save time, speed up the process, enhance controls, introduce visibility, and create a cash rebate flow back into your business fully flipping your back office cost center into a profit center. If this seems too good to be true, well believe it. We’ve seen numerous clients fully automate their process and enjoy the financial and operational benefits to automation and you can see that here! 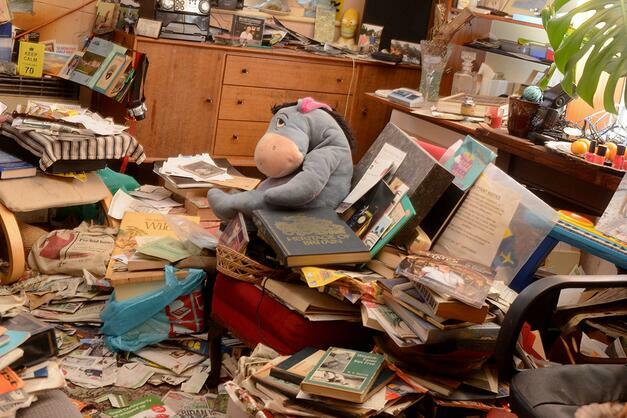 If you’ve ever seen the TV show Hoarders, you’re in for a real treat. Through its raw and real approach to exposing the substandard level that some people are acclimated to living at, it provides a unique insight into a rare and disturbing subset of people in our modern society. Unfortunately some people get into such a psychological or spiritual place of negativity that they manifest a psyche that feels the need to grasp and retain literally piles upon piles of junk, to the point that common thresholds of cleanliness often go out the window. Through an intense gut-check process, interventions are staged and the cleansing process involving family, medical, and even operational folks kicks off after the subjects realize the state to which they’ve sunk. It’s kind of a cathartic experience, though something that should probably be avoided at all costs. With that said, Accounts Payable invoice processing is very much something akin to this especially when you’re found in a manual processing environment. Paper invoices, copies, supporting documents, coding documents or notes, and the like create a hoarder’s paradise, and many businesses are eager to get out from the cushing weight of manual invoice processing. This is not only due to just the sheer volume of documents but the myriad challenges that manual processing creates to include late payments, lack of visibility, and high processing costs. With the deployment of advanced automation tools that comprise Accounts Payable software, you can meaningfully transform your invoice processing into something excelsior. Through intentionality and the right alignment of people, process, and technology you can make it something that creates value for your organization and curb the flow of documents internally while ushering in visibility and slashing costs. The wins generated through this effort, which don’t necessarily come cheap and easy, will be the wind in your sails to continue innovating internally. Often this becomes the gateway to ‘wall to wall’ process improvement and the gains in this area become the springboard and the impetus to drive change in others areas of Accounts Payable, most notably in payments. When you get out from under the thing that is crushing you gain renewed energy from a fresh perspective to advance other positive changes. So, and this is more to the thrust of this article, beyond the basic concept just offered about momentum and perspective swing, Accounts Payable software paves the way for things like ePayments. Once you start to exercise tighter controls over the process and you don’t have the tiger by the tail, you can take the same tack with respect to payments, and the way most businesses are trying to go is via ePayments. In our travels we came across this interesting article from PYMNTS.COM talking about this exact idea...and unfortunately some ePayments, particularly virtual payments powered by virtual cards are still slow to adopt in the market. Part of this has to do with vendor acceptance and the workflow required to process incoming payments. PYMNTS.COM asserts that more vendors are and payables departments are inclined to process ACH payments, which makes sense because of the push pay methodology, which while more efficient lacks the financial motivation that you get from monetizing your payment stream. We think the bottomline here is that a rolling stone gathers no moss. Essentially if you’re already jumping on the invoice automation train and are willing to go half way in terms of invoice processing and get things streamlined and automated, then jump in with both feet and go all the way. In this regard you can literally transform Accounts Payable from just a process stakeholder to a value creator as it will more tightly align to treasury and cash management functions. If you got something out of this, then please check out the ebook below!